For my birthday, I wanted to tackle something new and interesting. I don’t have much time to sew these days, but I wanted to start and finish a project in one weekend that would be both manageable and inspiring. Since I like to start with the fabric first, I selected this wonderful French Terry that had been sitting in my stash from So Sew English. 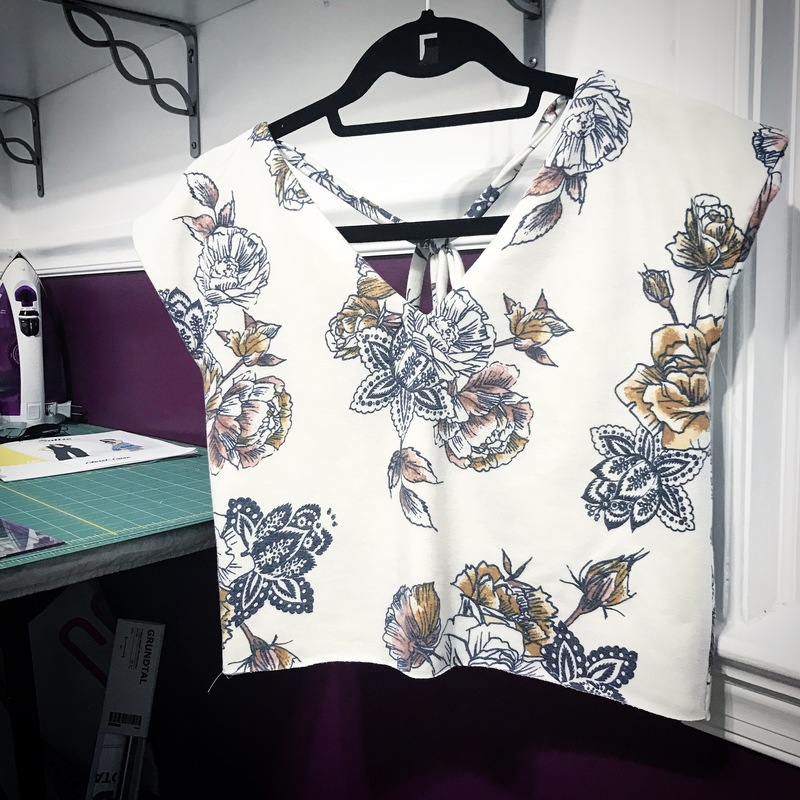 This print was calling out to be freed from the stuffy depths of my crowded fabric stash, and made into something glorious for my closet (ok – perhaps too much hyperbole?)! 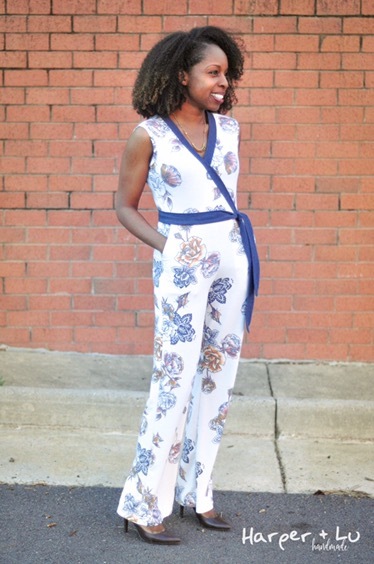 Bathroom challenges aside, I took my question to one of my favorite sewing groups (capsule wardrobe sewing group on Facebook) and asked for ideas – and Katie of the Creative Counselor pointed me towards the Sallie Jumpsuit by Closet Case Files. 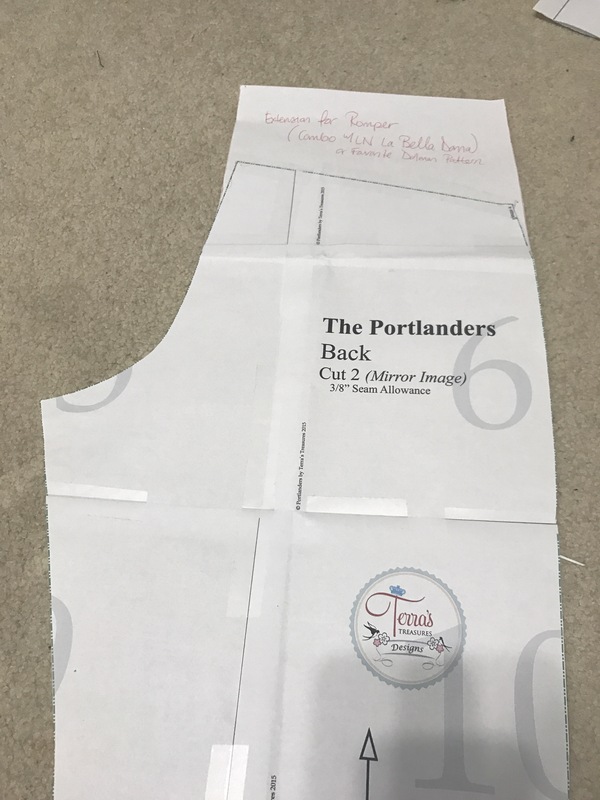 I knew I wanted to substitute in the New Horizons Portlanders (affiliate link*), since I had already gotten such a good fit in them using double brushed poly. 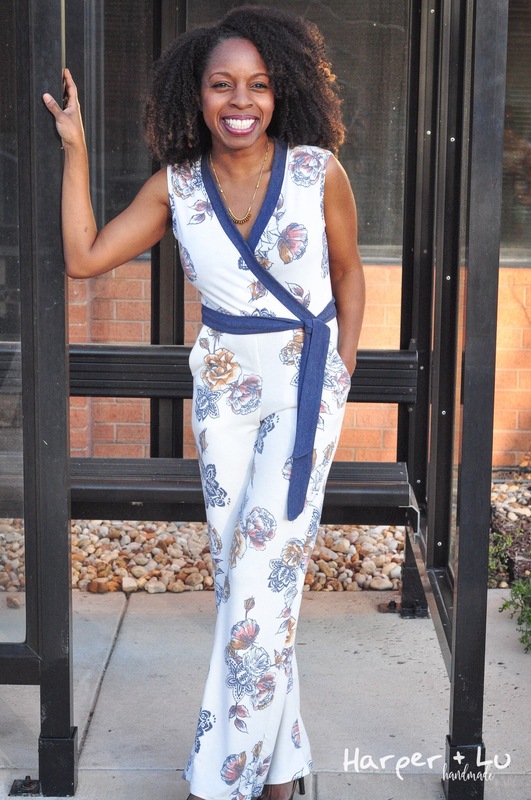 I modified them to increase the rise based on the Sallie, slim the pant leg hem by 2″, shorten the pant legs, and hacked a slanted front pocket, which is my new favorite feature! I’m only 5’2″ and several of these adjustments are in line with my standard adjustments. 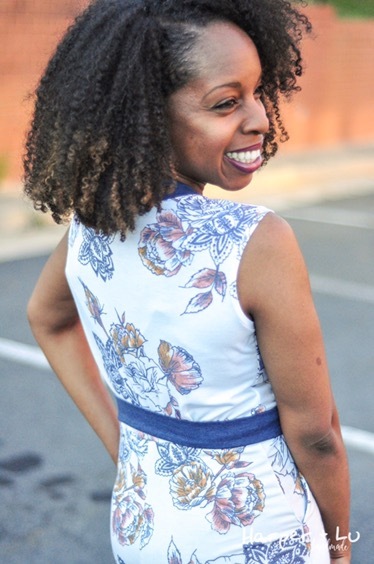 For that Sallie, I got as far as this bodice before realizing that my fabric, my modesty hacks and this pattern were a BAD match (I did however find a fabric that works perfect for it and will share a post on that next week!). 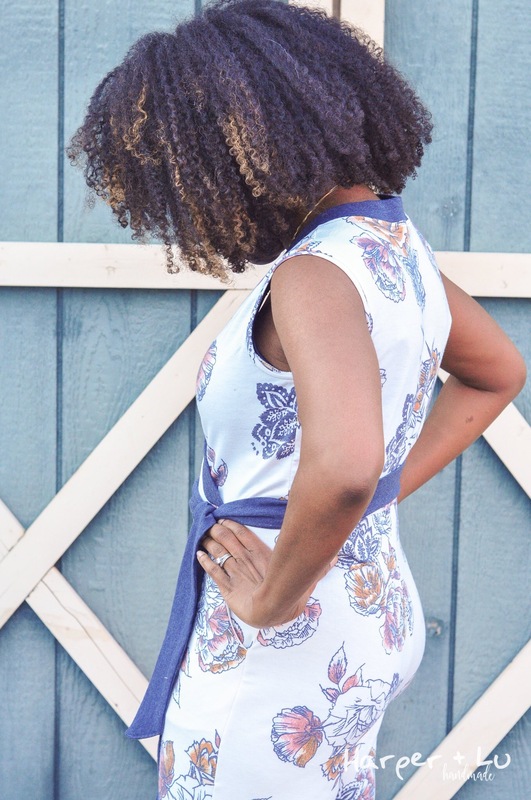 With just one yard left, I cut a new bodice from a tried and true pattern – the Diana Wrap Dress pattern (previously blogged about here). I thought it would both conserve fabric and break up the pattern a bit if I added denim colored cotton lycra bands and a sash. 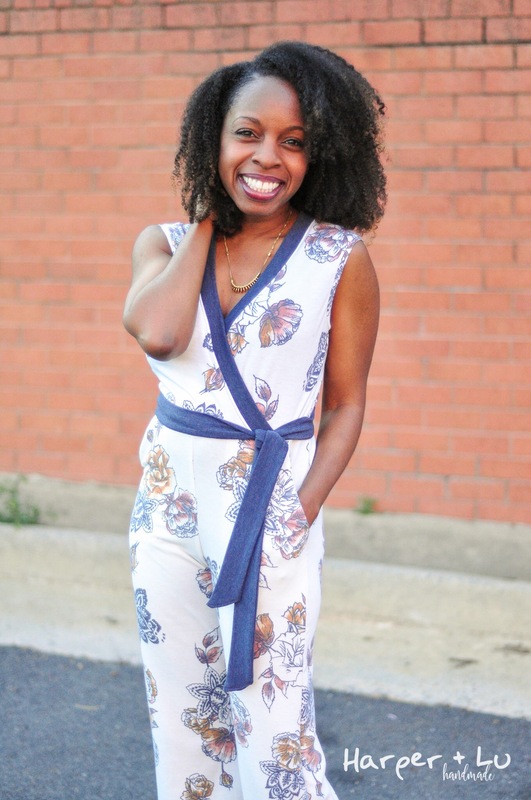 I had ordered only a yard of that fabric from Simply By Ti and trust me – this went to good use! I will likely need to add a hand sewn snap to the front, as my son is still nursing and pulling at my clothing – but I’m not in a rush. The last area which really scared me was the small of my back – where I typically get significant pooling. I think the vertical stretch in the fabric is working to my advantage as I may have over-fit the back. I both adjusted the back crotch curve to take out a chunk from the center back seam, but also added two small darts to the back bodice of the bodice so it would lay nicely. 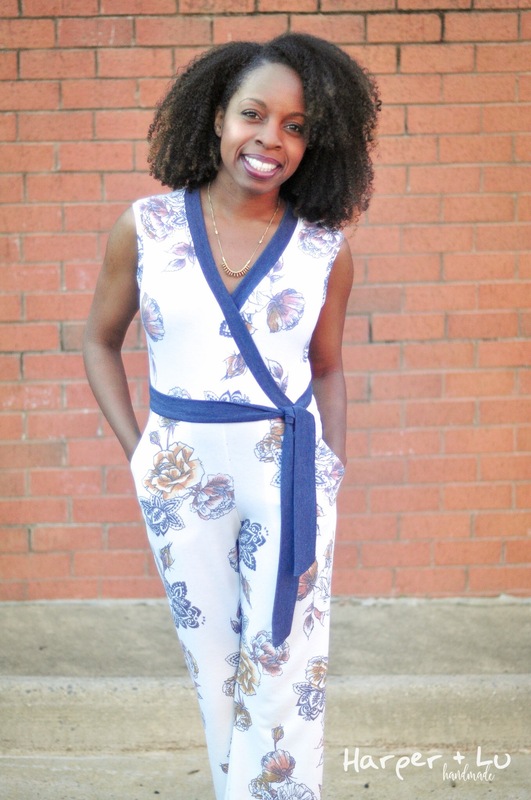 I’ve already got another jumpsuit on my sewing table ready to truly tackle the Sallie Jumpsuit – but for now, I’m calling this recovery a huge birthday success where I completely upped my game! It looks like you achieved a great fit on it, Mac. 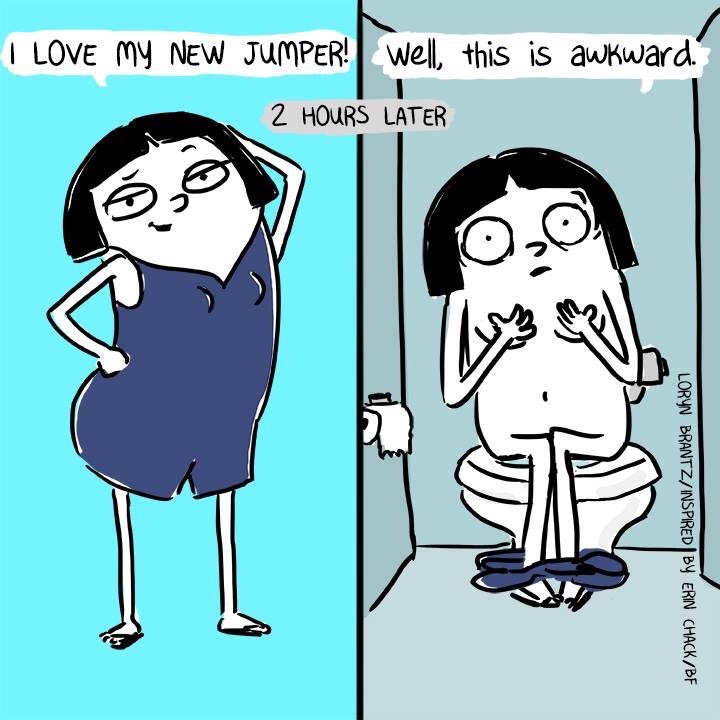 It looks fantastic on you! Your combo here is great! 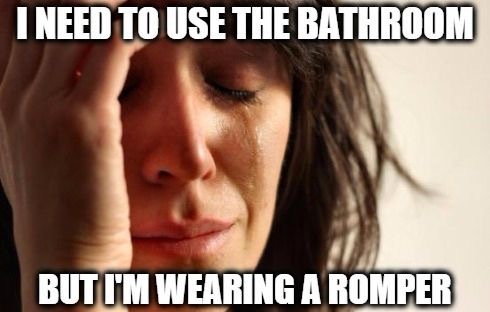 Why haven’t I made the Portlanders yet?!? Mac, so fabulous! And so comfy looking too. Glad you got the fit you wanted. Live this fabric though.